Signing Liverpool flop would fix Southampton's dismal attack | The Transfer Tavern | Where football transfer rumours fly or die! Southampton and manager Mark Hughes will be looking to get a striker through the door before the transfer window closes shut next month. The Saints have done a good job by bringing in Jannik Vestergaard, Mohamed Elyounoussi, Angus Gunn and Stuart Armstrong, but still need some reinforcements up front. Guido Carrillo has left the club and current strikers Charlie Austin, Manolo Gabbiadini and Shane Long have shown themselves to be unreliable options. Hughes, therefore, will be desperate to see a new No.9 arrive at St. Mary’s and Celta Vigo’s Iago Aspas would be the perfect addition. Aspas, who is valued at £22.5m by Transfermarkt, will be remembered by most fans in English football for his torrid time at Liverpool and terrible corner at Anfield in the Reds’ infamous 2-0 defeat to Chelsea during the 2013/14 Premier League season. 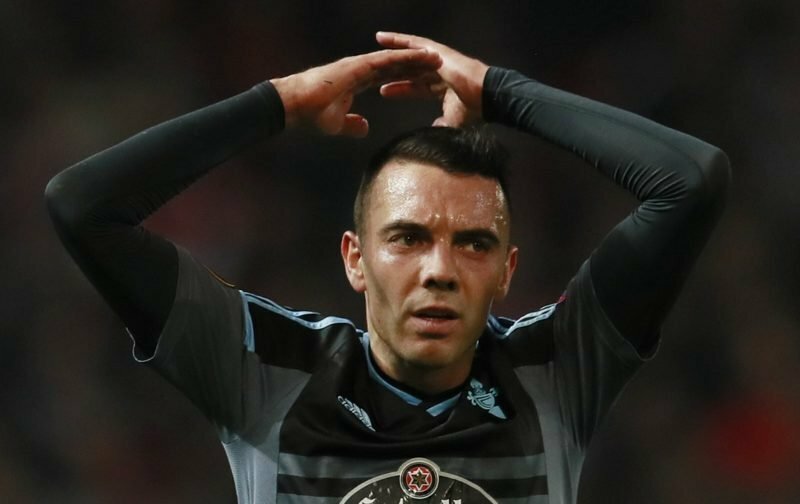 Looking past that, though, Aspas is a quality player – as he has shown following his return to Celta. Since arriving back in Spain, Aspas has become a serial goalscorer scoring 14 goals in the 2015/16 La Liga season, 19 in the 2016/17 season and 22 in the most recent campaign. Aspas is also equally capable of playing in positions behind the striker, making him an even more ideal signing given his versatility and the departure of forward Sofiane Boufal. Aspas is playing the best football in his career, which has seen him make his way into the Spain national team. He may not want to jeopardise that with a move to the Premier League that could once again end in misery. However, if the 30-year-old feels he has unfinished business in England, then Southampton must act on it.